The Bride Got The Rock! Raise your hand if you're planning to get SHAMROCKED at your big bachelorette bash! Rock these super cute St. Patrick's Day themed tank tops with all of your bridesmaids and besties! 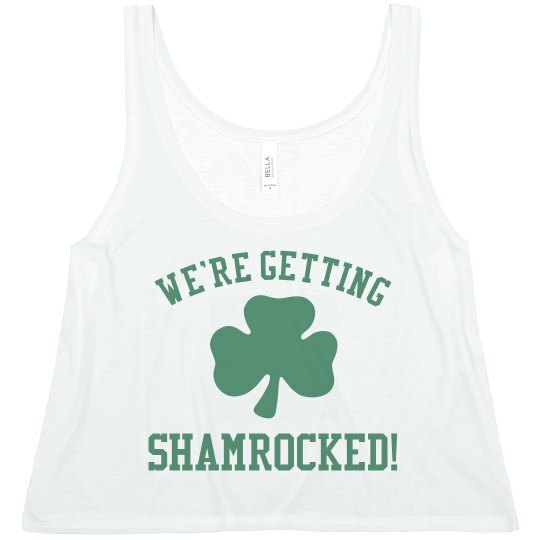 Custom Text: WE'RE GETTING | SHAMROCKED!